“I just want to take a moment to thank the entire staff at ABC Nanny Source. I was so relunctant to return to work and hire a nanny. From the moment I contacted your agency all my concerns and worries were put to rest. 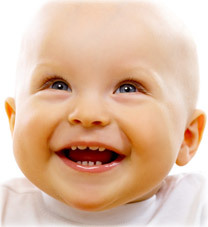 The Wilmington Nanny candidates were extremely qualified and very experienced. My daughter is thriving with our ABC Nanny and I can work and know she is in safe and loving hands! I will be telling all my collegues about your wonderful service! Thanks again!" The Leading Wilmington Delaware Nanny Agency Holding the Highest Level of Standards, Commitment and Expertise in the Nanny Industry! ABC Nanny Source represents career nannies in the Wilmington, Delaware area. Each nanny represented has been extensively screened; they are all experienced and polished. Please take a look below at some of the current Wilmington nannies available for consideration. Christina is a Wilmington Nanny devoted to providing personalized attention to her charges. Kelly is an experienced Wilmington Nanny. Roxanne is a Nanny dedicated to long term positions with Wilmington families. Feel free to call 302-234-7797 today to speak with a placement counselor about selecting the newest addition to your family - your Wilmington Delaware Nanny!